It is a saga of love, care and affection between two species of different kinds. 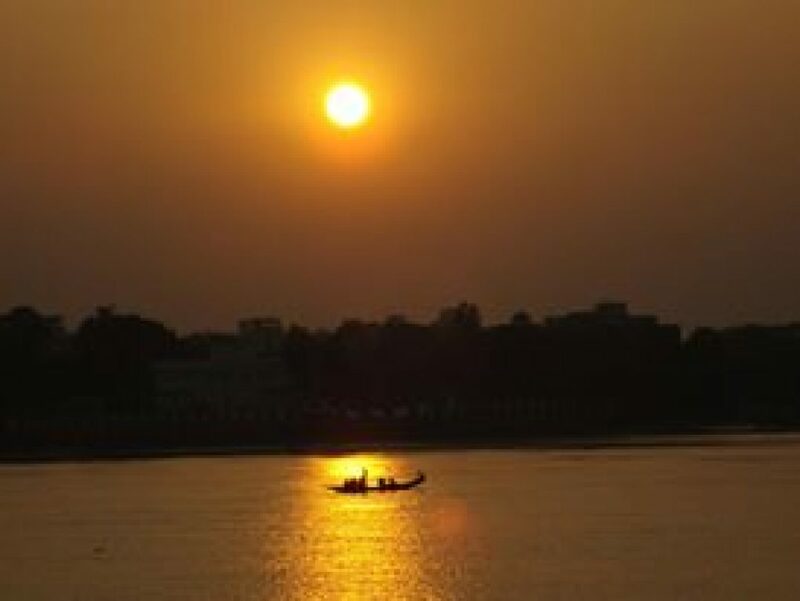 It is a story of romance with a difference. Lost amid the wilderness of the Adirondacks- the writer explores a strange world, a world away from the hustling modern city life- where still the gradual blooming of a wild flower excites the young heart, the chirping of the birds sends a message to the listener, beautiful flashing of butterfly wings fills the young mind with imagination. Where human still cares for others- even in this age, where nobody has enough time to take a bit from the rat race and think about others. Welcome to the world of Vivienne Harris- the young protagonist of our story-‘Raising the Stakes’ by Karen Rock– a Harlequin Heartwarming series novel. the story begun with a bit of drama where our young protagonist – alone in her farmhouse with only a deaf dog and a nearly blind cat as her only companions, was alarmed by the slink movement of something or somebody. A burglar? A thief? Or a wild beast? “The pan dipped and a pair of fearful, velvety-black eyes met hers. Dark fur puffed around a tiny triangular face, the petite snout ending in a quivering black nose. it was virtually a tug of war about the future of the cub-to be or not to be? And it was eventfully discovered that her mother was a prey of the greed of human, killed mercilessly. A young cub had acted as the catalyst in blooming of two beautiful minds. But where is she? What fate awaits the innocent cub? Will she be able to adjust herself to the wild? Or she has to be a pet of human for the rest of her life? Or she simply perished- losing the struggle for existence? Where destiny will take our two protagonists? There are some minor and some major characters in the story that had been made alive by the writer through her narration- and it was jingle all the way. The concluding part of the story that truly amazed me- a voyage towards a new hope, towards a new direction……. Liam kissed his mother’s damp cheek and eased his guitar from her grip. Her clear-eyed happiness soothed the deep burning inside. Vivie had a point. His music did make a difference. If it made his mother feel better, smoothed over this bump in the reception, then it was worth reliving the past. And maybe the past was something he needed to face, as Vivie had last night. When he and Vivie approached the band area there was brief applause followed by an attentive hush. He plucked two notes and felt the audience lean toward them. He touched a string and began to tune the instrument. It was not the finest guitar. He hadn’t been able to afford a better one at the time. Its neck was nicked. One of the pegs was loose and prone to going out of tune, he recalled. He brushed a soft chord and tipped his ear to the strings. As he glanced up, he glimpsed Vivie’s face, clear as the moon. She smiled excitedly and the soft light in her eyes made his heart squeeze. He touched the loose peg gently, running his hands over the warm wood. The varnish was scraped and scuffed in places, but that didn’t make it less precious to him. So, yes. It had flaws, but what did that matter when it came to things you treasured? Vivie had called herself damaged goods and he could say the same about himself. Yet, did that mean they couldn’t be loved…find love…together? Anyone could love someone perfect. Whole. That was easy. But to love someone scarred. Wounded. To know the flaws and love them too. That was rare and pure and perfect. Could he and Vivie share that? He adjusted another string and pictured his old bunkmate, Roger, asking him for some Bon Jovi, Pete wanting more Journey. How both of them, and the rest of his unit, had sung along or closed their eyes, remembered better times. He had brought them peace at the end and the thought soothed a jagged part of him that had scraped his heart raw. At last, he moved a finger and the chord went minor in a way that sounded a bit sad. He moved his hands again and this time two chords sang with each other. Then, without a plan, he began to play. The strings felt foreign to his fingers, like old friends meeting up again. He played soft and slow, sending notes to the edge of the circle gathered around them. Fingers and strings worked together carefully, as if this tender bond might be broken at any moment. Then he felt something inside him open and music poured into the quiet. His fingers danced, intricate and quick. The music moved like a maple key spinning to the forest floor, dandelion fluff floating on a summer breeze. It felt as if it carried his time in Kunar with it, along with the anguished waiting, the heart-stopping fear, the despair that he’d never make it out. At last, he slipped into a familiar tune, a love song Mary Ann had played endlessly when they’d grown up. Her eyes smiled at him and Vivie joined him in a duet. Her voice was honey-smooth, a light soprano that complemented his baritone perfectly. They sang as though they’d done so together forever, each one taking turns weaving harmonic lines, supporting the melody and sometimes carrying it for the other. The moment was the sharpest, sweetest, he’d ever known. He felt the heat of her beside him. Breathed in the summer rain and meadow-flower scent of her. Listened to the tender fluttering of her voice. It was beautiful. His eyes kept returning to her as she sat on a stool, arms hugging her knees. At last the song ended, the final chord ringing in the silence, and after a bit, it slowly began to dawn on Liam that he’d been staring at Vivie for an awkward amount of time. But she didn’t seem offended or amused. She studied his face, as if she was waiting. He wanted to take her somewhere private. Brush her cheek with his fingertips. Tell her that she was the most beautiful thing he’d ever seen. That the sight of her was enough to drive the breath from him. How sometimes he missed out on what she said for the soft lilt of her voice. He wanted to say that if she were with him then nothing could ever be wrong in his world again. In that moment, he considered asking her to come with him to Yellowstone. He felt the question boiling up in his chest. He drew in air, then hesitated. What could he say? Come with me? Leave your work, your friends, home, everything you know and love? Sudden certainty tightened in his chest. He couldn’t promise her anything. He closed his mouth and smiled instead at the applauding crowd and his beaming mother. Whatever he said couldn’t guarantee her permanence or stability, and after all she’d been through she deserved at least that. For some odd reason, her eyes welled and a tear clung to her lashes. He brushed the wetness away with his thumb, his hands lingering and cupping her face. “I’m never safe,” she whispered, her voice so low he had to bend closer to hear. “I’ll protect you,” he found himself saying, a gallant and reckless offer considering his planned move. Still, a fierce urge to reassure her filled him. A need to kiss her full lips followed. He captured them with his own, tasting berries, and something sweeter still. He buried his hands in her silky hair and brought her close, an insatiable hunger taking hold. The wildflower smell of her enveloped him and her mouth tantalized his. He nibbled on her lower lip, loving her soft exclamation of pleasure. Or was it surprise? She was early spring sunshine, a spring-fed pond, a mountain peak and everything that’d ever made him glad to be alive. Without warning, she jerked away and sprang to her feet, backing away until her legs brushed the bushes. Her face had lost all color and she looked as if she might faint. She shook her head, her hand rising to cover her mouth. Button appeared at Vivie’s feet. She stretched up on her hind legs, put her paws on Vivie’s sides and pressed her face against her caregiver’s stomach. If Button wasn’t a wild animal, he’d think the young bear sensed Vivie’s mood. Was trying to console her. He’d comfort Vivie, too, if she didn’t seem ready to bolt. He shook his head. Women had the final say when it came to what they wanted. He should have been more sensitive. Not given in to impulses. “Please. It won’t happen again.” And he meant it. She was upset. Had a right to be. If he had any sense, he’d know kissing her was wrong for him, as well. Soon he’d be across the country. His attraction to Vivie was irrational. She stumbled away, Button stuck by her side, the cub’s turtle dangling from her mouth. She wiped her nose and met his gaze. “Just stay away.” Without another word, she returned to the trail. It took all of his willpower not to chase after her. He’d follow at a distance instead, staying far enough behind to ensure she got home safely. But it wasn’t enough. He wanted things back to normal again. If that was possible. Strange that she’d said the same words he repeated to himself whenever Vivie came to mind—stay away. Yet the more time he spent with her, the harder that became. His emotions for this complicated woman deepened every day. He could deny it all he wanted, but he cared about her. The job in Yellowstone came to mind. He wouldn’t put off his decision any longer. As soon as he got home, he’d let them know. Escape before his feelings lashed him down forever. Except when it came to Button, he’d stay away. In a few strides he closed the distance between them and gathered her in his arms. “You’re right. It’s both of us. Let’s take this one day at a time. See if you feel differently in the next three weeks.” With his head lowered, his words flowed over her lips. “You might be the one to change your mind… But either way, we can at least enjoy the time we have left together,” she whispered back, and in an instant he was pressing his firm mouth to hers, sucking gently on her lower lip before capturing it fully. She breathed in his scent, the fresh pine smell that made her head swim. She clutched his shoulders as his kiss strengthened, her fingers twining in the thick hair that brushed his collar. He moaned low in the back of his throat and his hands slid up her back, cupping her head as he deepened the kiss until they both gasped for air. His heart drummed against her chest and an electric lightness rolled through her. She’d never felt so vulnerable, yet empowered, in a man’s arms before. Intoxicating. When his mouth trailed down her jaw, her head lolled back. She shivered when his lips nibbled along her neck, lingering at its base. “You feel so good,” he growled when he pulled away at last. “Have I convinced you yet?” The excitement in his eyes was infectious. But how could she be anything but honest? Yes, he made her feel things no other man could. Still…it was a big decision. Her breath evaporated in her lungs and her heart somersaulted. He loved her. It was beyond imagining. Wishing. Did she dare say it back given her doubts about their future? She put a hand against his chest. “Liam. I don’t want you to get your hopes up.” There was so much to consider…and would a refuge in Yellowstone be available for Button? One she could volunteer at perhaps? Would she be able to keep her family together? So many questions to work through. Three weeks might not be enough. But the thought of losing this…these moments with Liam…it hurt, too. “Too late.” His mischievous grin was contagious and she returned it, pushing him away to return to her dinner. “Impossible. That’s what you are.” She pointed her chopsticks at him before scooping up a California roll, her heart full to bursting. “It’s all part of the charm,” he said with a wink before picking up his chopsticks. And it was…that strong, thoughtful man who’d entrusted her with his deepest hurts, his hidden insecurities. It only made him more special to her. She brushed away the last shred of her doubts. They had three weeks together and a lot could change. Better to enjoy this time and worry about the future when it happened. For now, she’d let go and live— for Liam, for her pet family, and most of all, for herself. 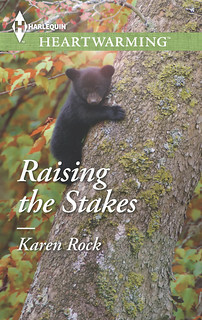 This is my stop during the blog tour for Raising the Stakes by Karen Rock. This blog tour is organized by Lola’s Blog Tours. The blog tour runs from 1 till 7 April, you can view the complete tour schedule on the website of Lola’s Blog Tours. 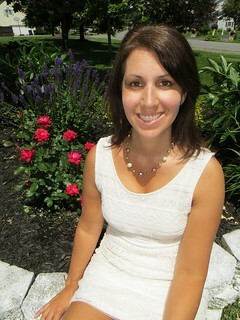 Karen Rock is an award-winning YA and adult contemporary romance author. She holds a master’s degree in English and worked as an ELA instructor before becoming a full-time writer. Currently she writes for Harlequin Heartwarming and her first novel for the line, WISH ME TOMORROW, has won the 2014 Gayle Wilson Award of Excellence, the 2014 Golden Quill Contest and a finalist in the Published Maggie Awards. The first novel in her co-authored YA series, CAMP BOYFRIEND, has been a finalist in the Booksellers Best and Golden Leaf awards.